Designed to provide both function and style, the Asia Round Coffee Table by Sunpan brings casual elegance and everyday practicality to your contemporary lounge or living space. 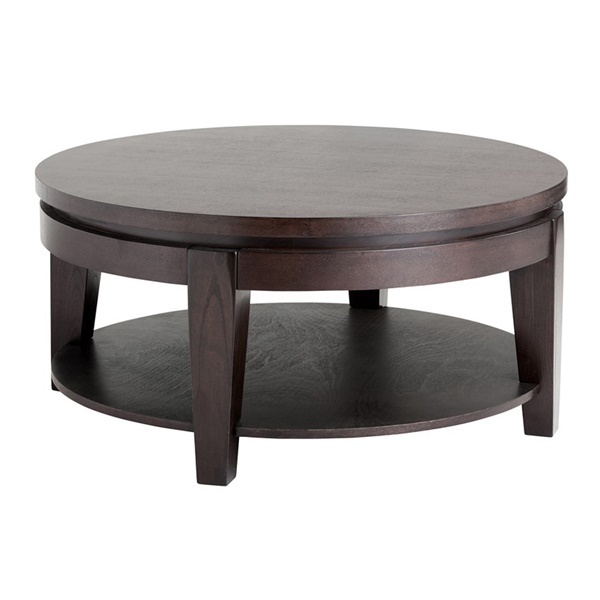 Constructed from solid and durable ash and elm wood veneers, this timeless modern coffee table is designed to last and stay in style, even when the surrounding furniture and d�cor changes. A lower shelf creates extra storage space while a simple yet distinctive carved accent below the table top gives the piece a sophisticated flair.